Swift, safe ground deliveries from an expedited freight company with extensive experience solving shipping emergencies. If your firm faces an impossible shipping situation, trust a carrier with a history of completing even the most difficult deliveries. ExpeditedGround.com has the vehicles, drivers, and resources to get your shipment to its destination on schedule, no matter how tight that schedule is. With us on your side, you can rest assured that no sudden change in your shipping needs will be too much to handle. Standard shipping needs are all alike, but each shipping disaster is disastrous in its own way. Under ordinary conditions, every company needs supplies to arrive and finished orders to depart in regular intervals, on trucks that can hold them safely throughout the trip. It is when these standard services break down that things get complicated. Perhaps your company has to ship a new product that can’t be stored safely in ordinary trucks. Maybe the item you’re shipping is the same, but a customer wants it on a time table that your ordinary carrier can’t handle. Whatever the situation, you’ll have to organize a delivery that does not meet the parameters of your standard shipments. As an expedited ground company, ExpeditedGround.com specializes in resolving unusual shipping needs. We provide a selection of rapid services, including deliveries by the end of the next day, overnight, or even on the same day, for clients throughout the US and Canada. With our expedited ground freight service, your company can respond quickly and effectively to a wide range of shipping emergencies. Consistent Communication - Our customer support team is always available to answer your questions from a single source. Flexible Features - Besides providing emergency shipments, we also coordinate standard orders, providing a one-stop solution to all your delivery needs. Cost Choices - We have several tiers of prices for our shipments, allowing us to accommodate many different budgets. Omnipresent Operations - Our trucks and coverage extend throughout Canada and the US. Expedited freight excellence always begins by selecting great drivers, which is why ExpeditedGround.com has a detailed vetting process for all new employees. Before we trust someone to operate our trucks, we make sure that they have high levels of training, experience, and commitment to good service. We also assign drivers in teams of two to all trucks that travel long distances, thereby letting them stay on the road night and day without jeopardizing your goods. 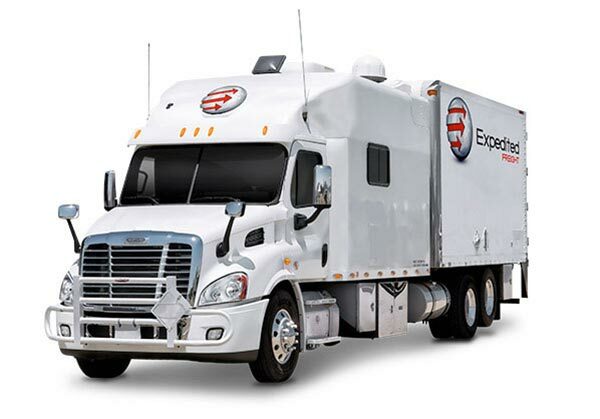 Besides drivers, ExpeditedGround.com invests in quality trucks and tracking equipment. Our vehicles are subject to regular inspections, maintenance services, and upgrades aimed at maximizing safety, speed, and fuel economy. Each truck is then tracked throughout the journey with advanced monitoring equipment. This makes it easy for us to give you updates on truck location while responding quickly to delays and accidents. For more information on expedited ground freight services or to request a free quote, contact ExpeditedGround.com today at (800) 713-1000.